Android, the fashion watch company, is creating a smartwatch that is appropriately, or perhaps ironically, compatible with Android devices. It’ll be available this December for Android users everywhere, although no news has been released about exactly when it’ll be available or how much it’ll launch for. The teaser trailer below is a little teaser trailer of sorts showing off the watch’s design and some of the things it can do. I won’t lie and say I’m overly impressed with the video – it’s not impressive in the slightest to me, but then again I don’t care for smartwatches to begin with. They’re bulky and pointless. Why would you want to put a giant smartwatch on your arm when your phone can do everything it can do? Let’s be honest, a watch is meant more for fashion purposes than functionality. It doesn’t need to do a million different things, it needs to look good on my when I go out and allow me to tell the time at a glance. I swear I’m a gadget geek like the rest of you, but I really don’t understand the appeal to this piece of equipment. 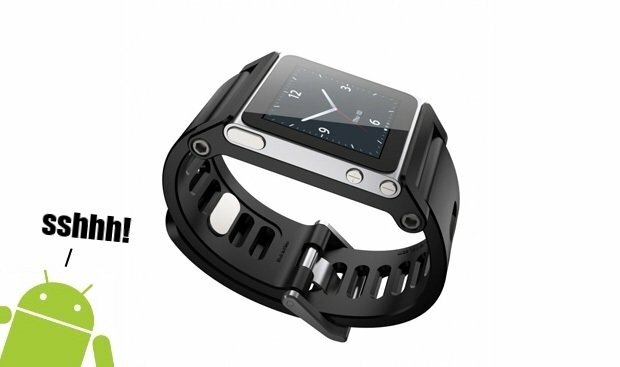 All that being said, for those that are interested, an Android compatible smartwatch is on its way.